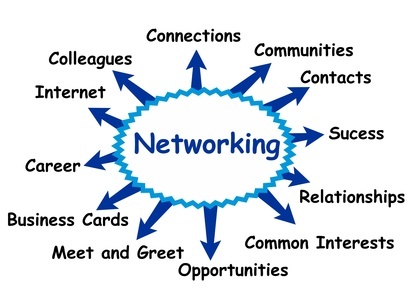 Networking is more than just meeting for a drink, it is a great way to share ideas, expand your knowledge, make business connections, give and receive support, collaborate with others and build new friendships. You might feel a bit uncomfortable at first however, try not to get discouraged though instead try to be clear about what you do and how you can help others, the confidence will come the more you practice. Where networks that are built on the member’s contribution rather than status, it is easier to build a trusting relationship. Depending on where you are in your career there are some elements you might find relevant. The next time you attend an event or meeting, where you have to meet and interact with new people, take the time to clarify your networking goals. How do you want the contacts in your network to help you? Decide what you want from the other attendees? Where would you benefit from building new contacts? When networking you have only a limited amount of time, so it is important that you use it wisely, ensure the time is not spent just socialising seek opportunities that will make a difference to your career or business.